For use with unarmoured cables with rubber outer sheath. Secures outer sheath of cable. 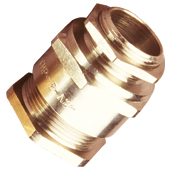 Displacement seal concept makes it suitable for Indoor & Outdoor application.